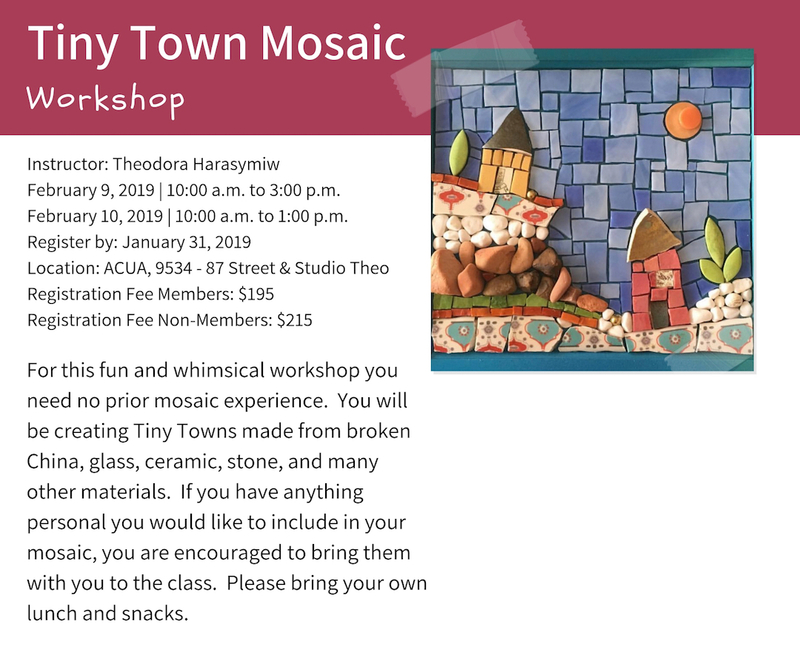 February 9, 2019 | 10:00 a.m. to 3:00 p.m.
February 10, 2019 | 10:00 a.m. to 1:00 p.m.
For this fun and whimsical workshop you need no prior mosaic experience. You will be creating Tiny Towns made from broken China, glass, ceramic, stone, and many other materials. If you have anything personal you would like to include in your mosaic, you are encouraged to bring them with you to the class. Please bring your own lunch and snacks.